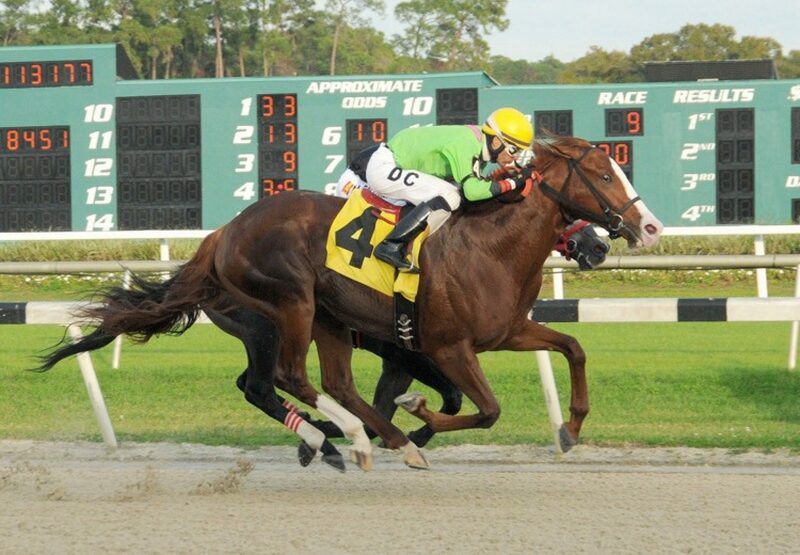 Exciting colt Catalina Red (2c Munnings x Lovely Dream, by Freud) set a new track record at Tampa Bay Downs when scoring a tenacious victory in the $65,000 Pasco Stakes. Placed at his first three runs, the Chad Stewart trained colt broke through last start with a resounding win in the $66,000 Inaugural Stakes at Tampa and maintained his form to win again. Catalina Red settled off the pace before engaging in a stirring duel with runner-up XY Jet down the running, getting the better of that rival to win the seven furlong contest by a neck. Catalina Red clocked a sizzling 1:22.03, which broke the previous track record. 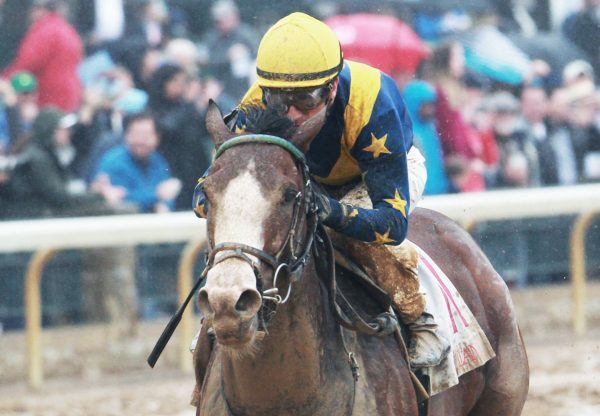 “I was very concerned because [X Y Jet] had an easy lead and no one was pushing him,” said Chad Stewart “I had faith in my horse and a lot of faith in Danny (winning rider Danny Centeno), but I almost thought he was sitting too chilly. But Danny can really pick one up and carry him on down and that’s what happened. He showed a lot of heart today.” A half-brother to stakes-placed Whiskey Bravo from stakes-placed Lovely Dream, Catalina Red was a $71,000 purchase from the OBS April 2YO Sale and has won two of five starts earning $74,680. 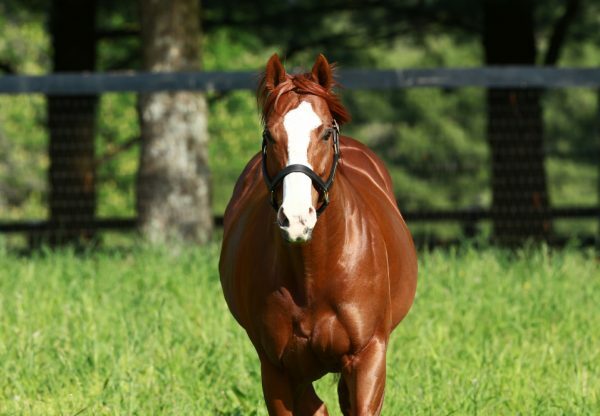 Munnings also added a new winner to his tally when talented filly Ben’s Duchess (2f Munnings x Armathwaite, by Sky Classic) saluted at Santa Anita for John Sadler. A good third on debut at Los Alamitos on December 4, Ben’s Duchess took improvement from that outing, powering home to beat the favourite by a length and a quarter in the five and a half furlong maiden. Raced by Doubledown Stables, Ben’s Duchess has been through the sale ring several times fetching $45,000 as a weanling, $57,000 as a yearling and finally $170,000 at the OBS March 2YO Sale. The 27th winner for Munnings, Ben’s Duchess is from Armathwaite, a half-sister to stakes-winner Shareefa, the dam of Grade I winner Vergennes.